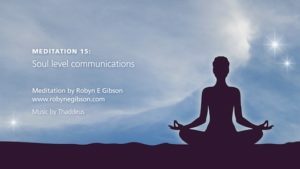 Higher Communications is a program which consists of 17 guided meditations in movie form in four modules to Align, Heal, Empower and Inspire, and clear instructions to help you on your inner journey of harmony, personal and spiritual growth. 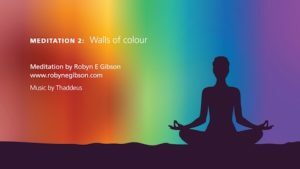 The guided meditation movies are colourful, gentle and with fluid movement to best serve the hard of hearing, those who find it difficult to visualise and people new to meditation. Permanently available to you on your own page on this website, to experience in your own time, as often as you wish and in the comfort of our own home. 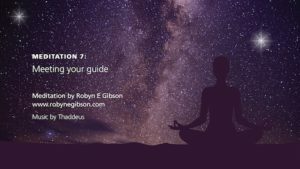 Click each Module Tab below on either Align, Heal, Empower or Inspire to view outline details of each guided visual meditation. Connect with your very own High Wisdom! 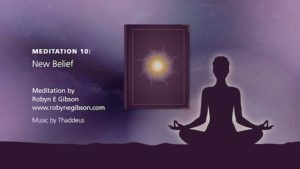 Relax and set aside 10 - 15 minutes to be taken on an energy shifting journey. 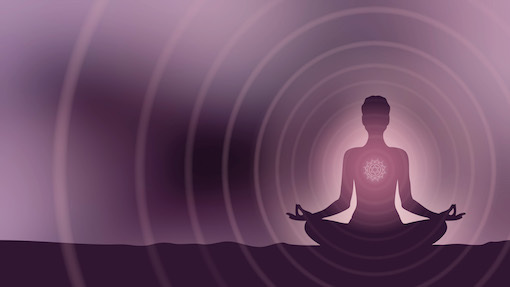 Experience the feelings of harmony and clarity as you clear your energy centres; calm as you release your burdens, pain and fear; serenity and expansion as you draw light into your body; and the inner knowing and confidence which comes from connecting with your Higher Self. Open yourself up to allow positive change, a confident direction and massive shifts in your life. The Meditations in ALIGN are described briefly below. You will focus on your breath, relaxing your entire body gradually, taking deep breaths until you feel peaceful, relaxed and comfortable. You will allow your thoughts to come, and allow your thoughts to go. You will do so with ease, as you watch them follow a butterfly as it flies away. We tend to close our energy centres to protect ourselves when in stressful situations. By suppressing our emotions and keeping our energy centres closed, we are creating strain on our immune system. 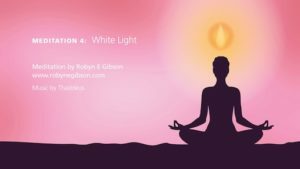 This meditation is an ideal practice when you recognise you need to clear and align them. This practice will help you let go of the feeling any burdens, pain and fear. You will guided to place these obstacles into a bag to be released, turned into particles of light and watch them fade into nothingness. You will draw in light into your head to take away anything hurtful you may have experienced and remove unkind thoughts, leaving only love. The light travels to your heart and expands like the sun reaching, your arms, hands, and feet, until it fills your whole body. Whoever you touch today will be touched by love filled light. 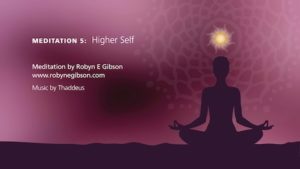 You will confidently connect with your very own higher wisdom, your higher self. You are not alone on this life journey and the guidance and love you receive from consciously connecting with your Higher Self is unconditional and opens doorways to wonderful new life experiences. You will receive messages of wisdom and guidance by way of an inner knowing, inspirational thoughts which will come to you at the right time. 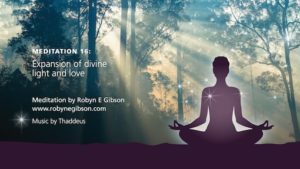 You will recognise these thoughts as coming from your Higher Self, as they will be loving, unconditional and for the highest good of all concerned. I forgive, I let go! as you release obstacles in the form of vows, promises and thought forms from all directions of time, supported and loved as you meet with your personal Guide; allow positive change in your life by working together on the same goal with the different parts or your personality, the feeling of freedom after having released the heavy emotional attachments of the past. The Meditations in HEAL are described briefly below. 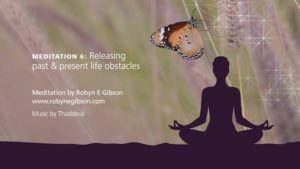 Feel profound shifts as you practice releasing and clearing past and present life obstacles. You will be clearing any vows, promises, thought forms and obstacles in all directions of time. 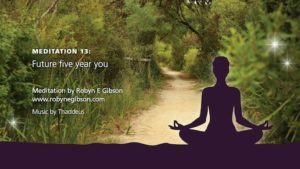 Obstacles can be collected at any time in your life journey, and this Meditation is ideal to release them, particularly when you feel uneasy, and you not sure quite why. By consciously connecting with your Guide, giving clear goals, you will receive the ultimate support in achieving them. Your Guide sees the bigger picture and knows how to best serve you, where you only see the tiny steps of your life’s path. You are not alone as you have your loving Guide with you every step of the way. Your Guide is with you always, supporting you and helping you, like your very best friend. We each have different parts of our personality. For instance, we may have a rebellious part, a childlike part, a parent like part, a fearful part, a shy part, an angry part and so on. 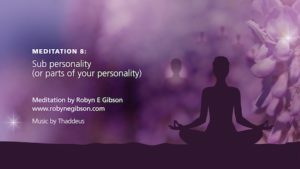 Whenever we have created a new goal of healing, personal growth, or spiritual growth, we need to make a connection with our Personality Parts to enlist their support. Sometimes they are stuck on an old goal which may have served you when you were younger, but you have grown and have new goals in which you need to work together to achieve. Positive change is so much easier and achievable when you have all your personality parts focusing on the same goal and on your side! Release the heavy emotional cord of attachment from issues of the past. Forgiveness does not condone another person’s bad behaviour. What it does do is create peace in your heart! Your body wisdom creates a healing inside as you rewrite the past, replacing the old painful memories with a new uplifting ones. It doesn’t matter what is real and what is not, as long as you feel free in your heart, body and soul. As the cells in your body regenerate, they will be doing so with the new good feeling memories inside. 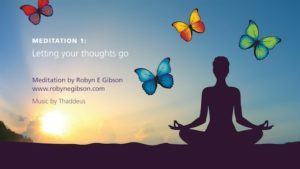 The method in this meditation is also called Age Regression and healing and growth can only be achieved by cutting free of all heavy emotional attachments from the past. as you replace negative beliefs to ones which nurture and serve you; expansion as you project love to your emotions and from different parts of your body; empowered as you recognise and release the drama of others; encouraged and supported by the wise future five year you. The Meditations in EMPOWER are described briefly below. Beliefs are a collection of thoughts which you keep thinking. Before you commence the Meditation, you will have chosen beliefs which nourish and inspire you, to replace the ones which are not. You will fill your ‘Book of Beliefs’ with beliefs which truly inspire you and ensure you realise the special beautiful Being you truly are. You will be guided to the different ways to project love from your body and how that feels to you. 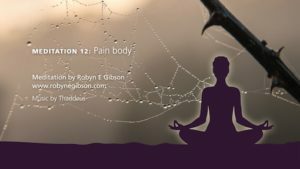 You will send love to your painful emotions, as this is how to transform them into a higher expression. You are becoming more sensitive to the energies around you, and discovering how it feels when you are projecting the energy of love in different ways. Recognise and release the pain in others in a detached way. Through a series of experiences in this meditation, you will, in a safe way, practice observing and recognising the drama of others without attachment, cut and send love. Protect your emotional body and create profound changes in the way you respond and feel. This practise is your protection when faced with people who are projecting unloving behaviour towards you. This Meditation created the most profound change and an enormous shift in my life of which I am infinitely grateful. The path of the wise future five year you is important. You make a commitment to support this path, which is light filled and inspirational. Whenever you find yourself feeling overwhelmed or are in need of encouragement as you make this journey, call upon the guidance and love of your very own cheerleader and mentor, your future five year you. Be the Master – Inspire just by being you! 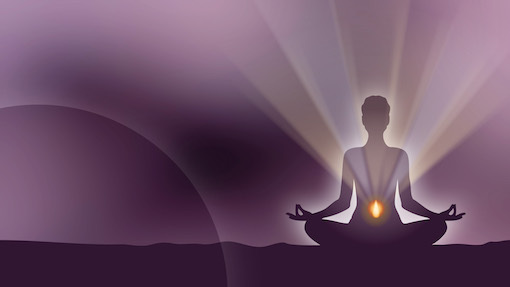 to master caring for your body in an energetic way; communicating in a telepathic way on the level of Soul, expansion as you call upon the divine light and love from the Source of all Creation, filling and cleansing you and making you whole; projecting this divine light and love outwards to the earth and all its beings; conclude with the powerful I Am’s transformations you have become on the path of this journey of expansion and love. The Meditations in INSPIRE are described briefly below. We each have the ability to care for our bodies in an energetic way. You will be guided to recognise and clear blocked energy in your body to allow the flow needed to assist in its healing. You will determine if having this pain has somehow served you in the past. If so, you will clear this need in order to heal. 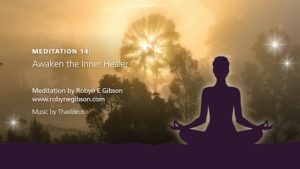 Your inner healer will also assist you with encouragement to take positive action and create healthful habits which will help with the healing process. You deserve to have a healthy, energy-filled body. Affirm loudly “I am ready to have a healthy energy-filled body”. 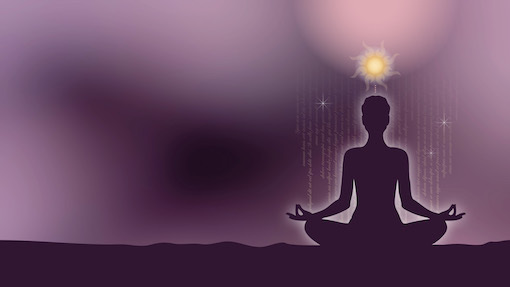 Communicate telepathically on the soul level to the higher self of another. This practice is particularly useful if you need to communicate a sensitive issue to another. Speaking to another’s soul may be the ideal option to avoid painful confrontations and yet be able to express what you need to say, and the information be received in the highest possible way. My practice began on my very sensitive husband who has a tendency to overreact. I have been practicing this way of communicating difficult subjects with him for well over 20 years with the most incredible results. Only recently he asked me why I thought we didn’t argue. When I explained to him that if I had a problem with him at all it would hurt him deeply, so I communicate any issues straight to his higher self. He was relieved, and not at all surprised. You will call upon divine light and love from the Source of all Creation, to cleanse you and make you whole. You will then project this divine light and love outwards to the earth and all its beings. 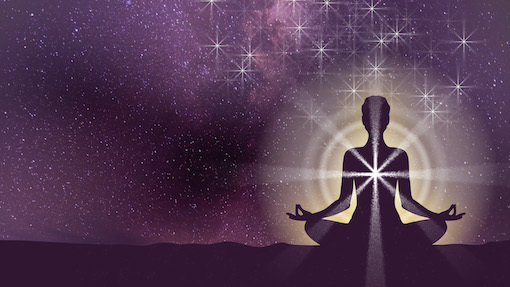 You will be joining many thousands upon thousands of light-workers around the world who are also meditating to uplift the energy of the earth and all its beings. 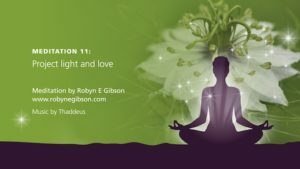 You are a light-worker and by you shining your light, you play an important role by contributing to waves of mass harmony, light and love in this world. 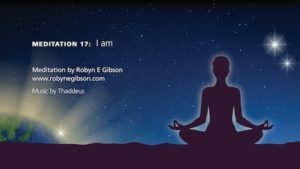 The final Meditation, the I Am Meditation highlights all you have become on this journey. Inner strength, serenity and unconditional love, joining millions and millions of people raising the vibrations around the world expanding. Everyone expanding – for each other!